Finding the perfect present for horse lovers this Christmas should be no problem with a great selection of gifts on the market. 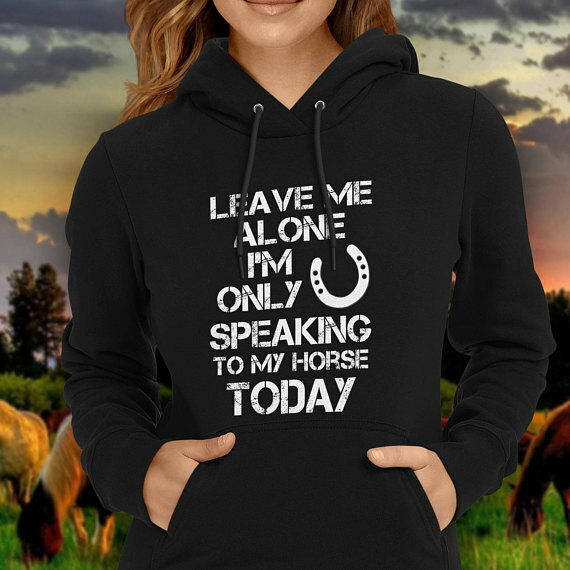 Warm, stylish and with a wicked sense of humour, these hoodies come especially for the horse-mad in your life. For something a little different this season, pick one of these up on Etsy.com. When the great Grand Prix performer Valegro retired from the circuit last year, there wasn’t a dry eye in the house. 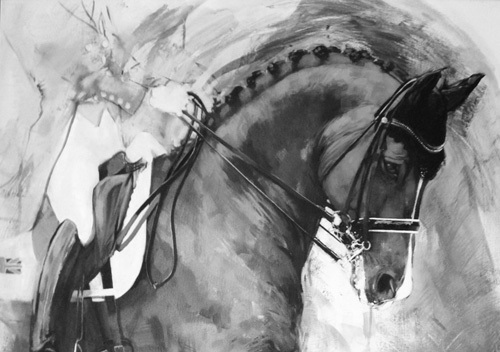 This latest limited edition print from exceptional UK-based sports horse artist Sally Martin recalls his personality, prodigious talent and incredible partnership with Charlotte Dujardin. “My interest is the connection between horse and rider, the process of daily training in the pursuit of perfection in unity and movement." In Valegro and Charlotte, we had that in spades. Wrap up at the races or the Boxing Day meet with fabulous outdoor wear from Ariat, the specialist in equestrian and outdoor footwear and apparel. 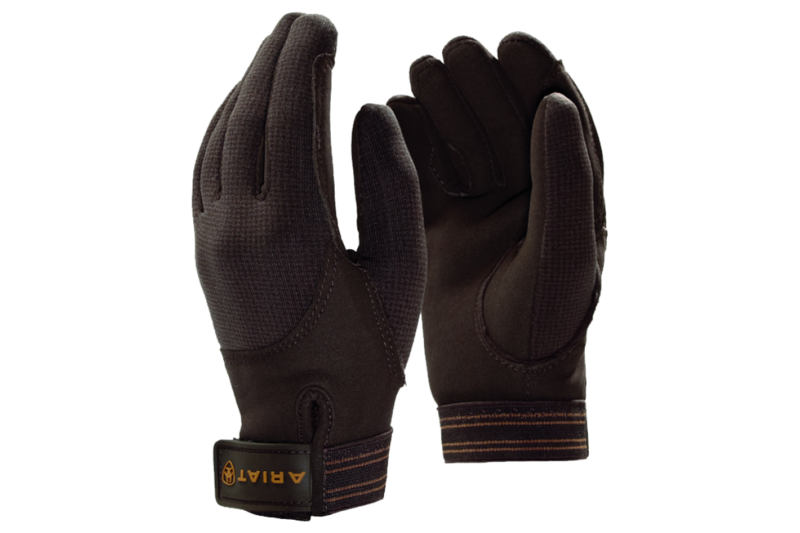 Their website offers high-quality riding footwear and apparel, such as these Insulated Tek Grip Gloves, as well as accessories such as boot and helmet bags, hats and scarves. The prestigious Swiss watchmaking company’s passion for equestrian sports began in 1878, when a timepiece was made with a horse and jockey engraved on the face. Those who want to treat their loved ones to something very special this Christmas could choose a watch from Longines' Equestrian Collection, which was developed as a tribute to the brand's involvement in equestrian sports. Allow a horse to light up your living space with this multi-colour 3D lamp. Perfect for children or adults, the 13.5cm x 17.5cm lamp can display seven colours. Simply press a single button to scroll through the colours, and select your favourite for the office, living room or bedroom. This piece is so striking that it might seem a waste to light it. Available from John Lewis, this is a luxurious item that would look wonderful adorning any horse lover’s fireplace, shelf or bookcase. Add a little sparkle to a young rider’s Christmas with these new ‘Glamourati’ Glitter Quarter Marker Kits. Create an enchanted steed out of ‘Frost’, ‘Equestriana’, ‘Fairytale’, ‘Tricolour’, ‘Scrolls’, ‘Lovestruck’ or ‘Starry’ themed kits. Add Glamatress Luxury Mane and Tail Extensions, available in individual colours, such as cobalt, or as a rainbow ‘Unicorn’ pack of six to complete the magic. Create the perfect addition to your rustic décor or barn decor by designing your own hand painted wood horseshoe sign. Available via TrueDestinyBoutique at Etsy, these custom barn signs can be personalised by adding your horse's name name, and customise with the stain, font, hanging hardware and colour of your choice. Christmas wouldn’t be Christmas without Monopoly and this latest addition to the world-famous stable of games is a perfect way to round off the day. In Horses and Ponies Monopoly, choose your favourite equestrian token and gallop around the board, building stalls, dodging vet bills and investing in a string of horses. Pick up your tickets here and give them a gift to truly remember!